lawmakers opposing designating the Grand Canyon Watershed as a national monument. designation of lands for national monuments. Constitution doesn't provide the federal government with those kind of authorities." 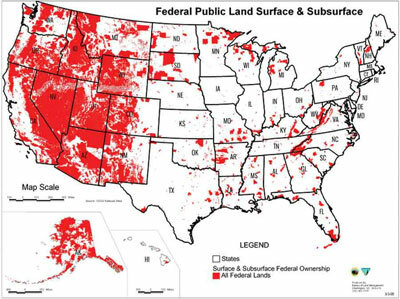 through land leases, grazing permits or selling the land, to be used for education. made us a state. They've broken that agreement when they do that." Additionally Thorpe said the 1.7 million acres included in the proposed monument would no longer be state trust land or private land. but it's incumbent, meaning that we can't do anything with it." The incumbent land would not be subject to state taxes, which Thorpe said takes away funding for educational purposes. land. The rest of the land doesn't pay taxes." has also decided to oppose the watershed's designation. 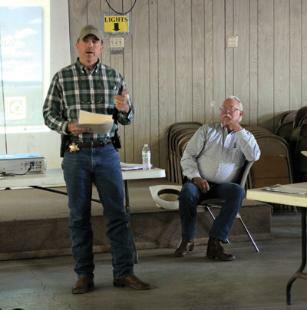 concerns voiced about the need for national monument protection. sweep of management for game animals, non-game animals, recreation and land management." protection of the area more difficult and would be more of a hindrance than a help. over-grazing of the land, and preservation of wildlife connectivity among other issues. would make it more difficult." According to Game and Fish, grazing is already strictly regulated by several land management agencies. needs to manage and use the land and keep the land in productivity." designation of lands declared to be national monuments. "New verbiage, new powers within our constitution that gives them the authority to create monuments," he said. "They've never done that." an executive order from President Barack Obama or by an act of Congress. The Grand Canyon Watershed National Monument!